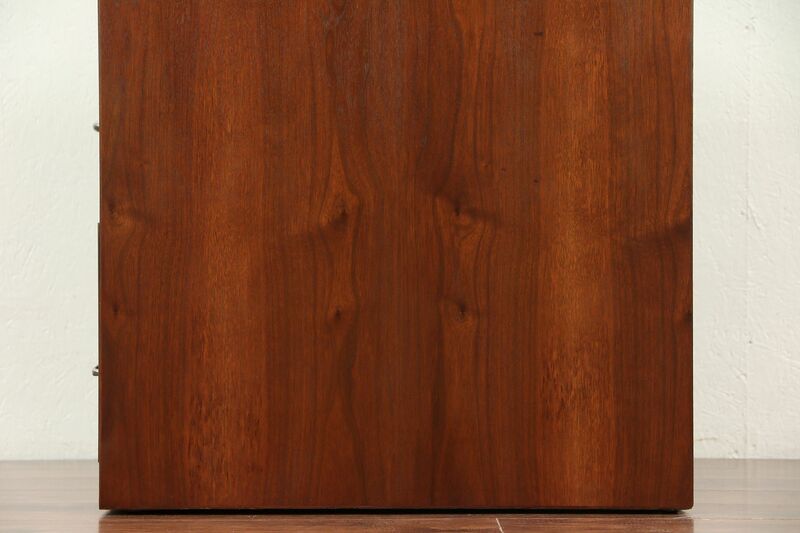 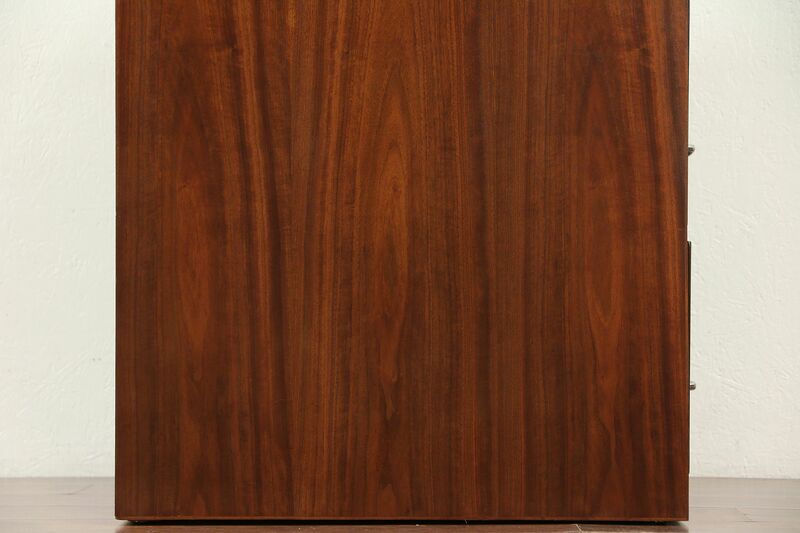 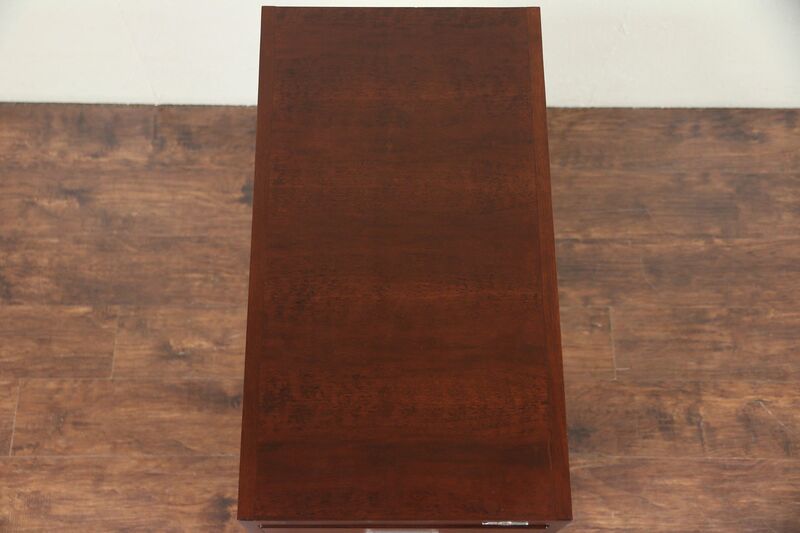 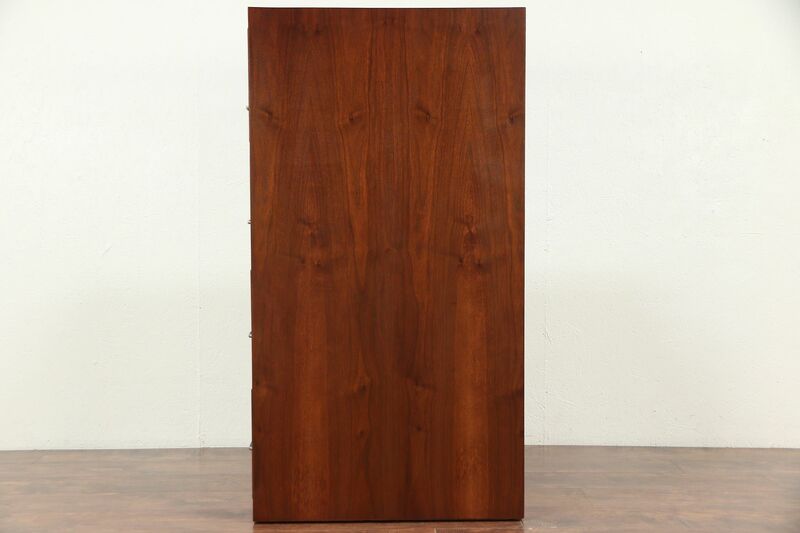 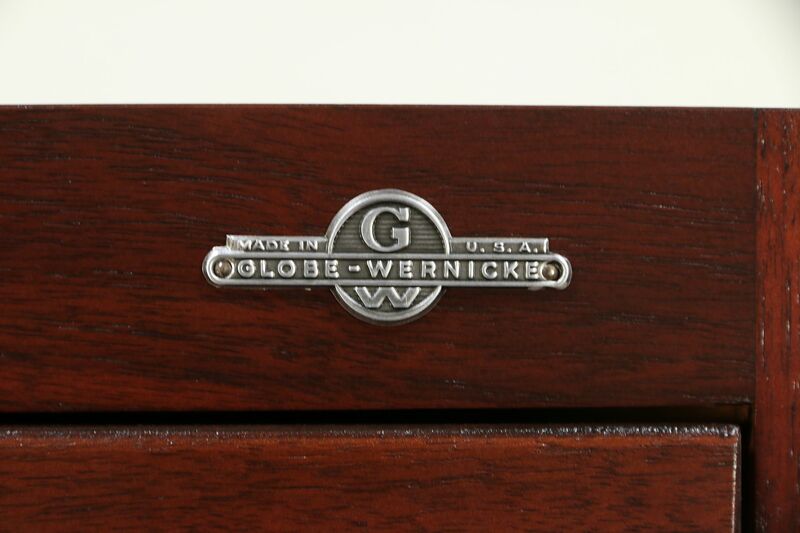 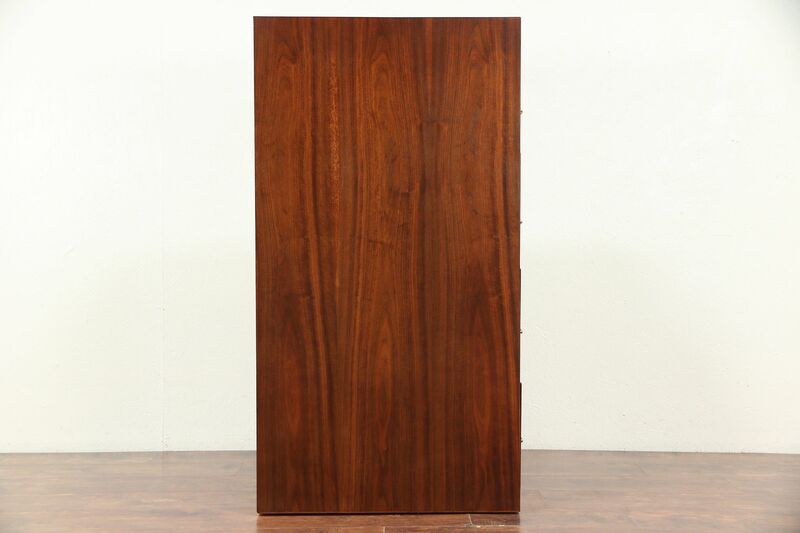 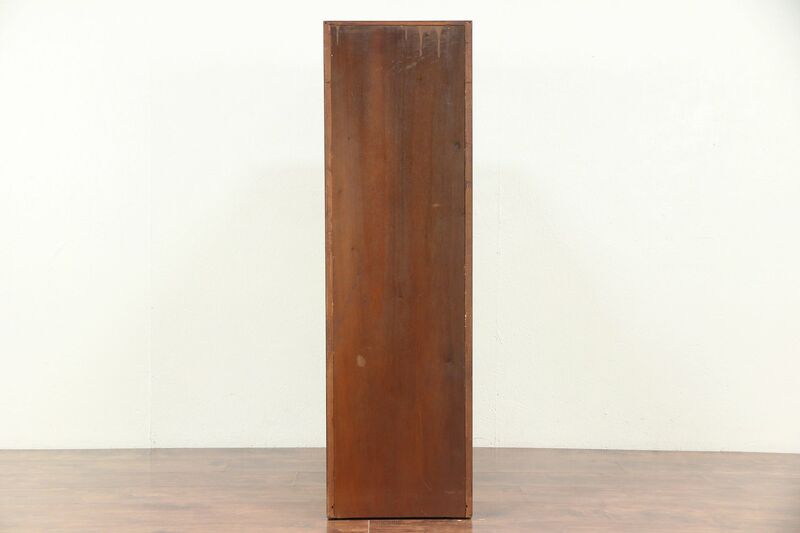 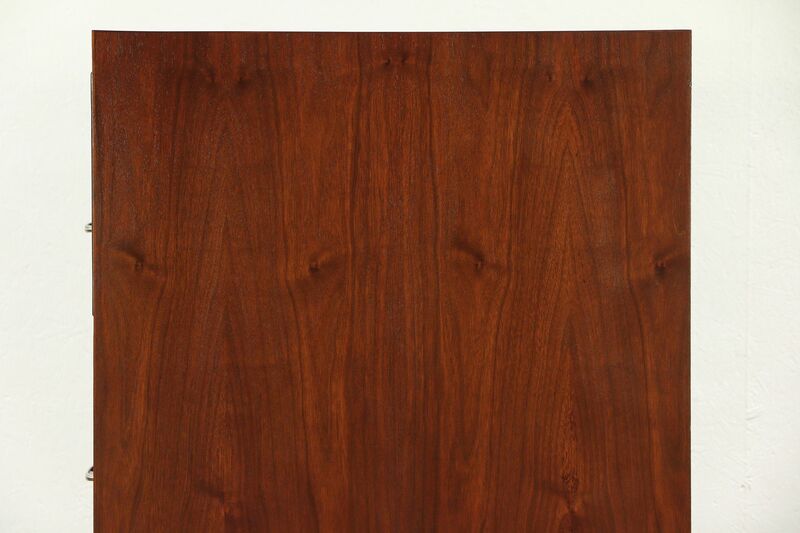 This Midcentury Modern four drawer walnut file cabinet from about 1960 is signed by famous maker, "Globe Wernicke." 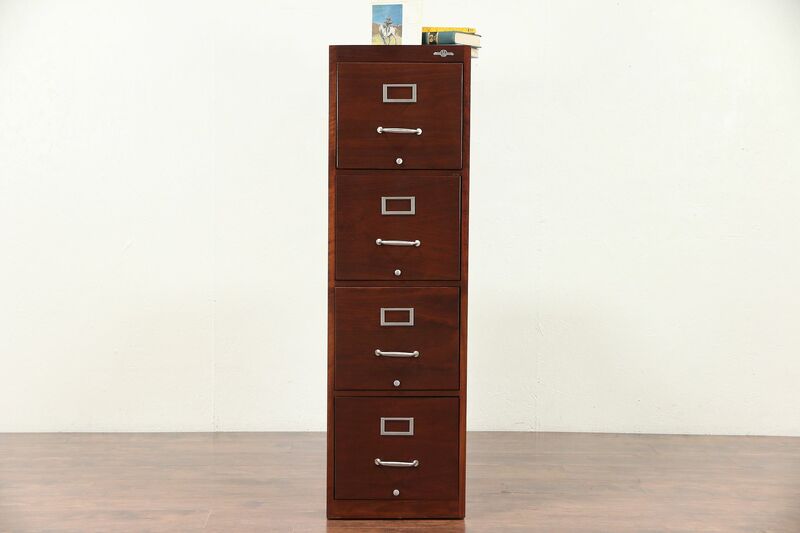 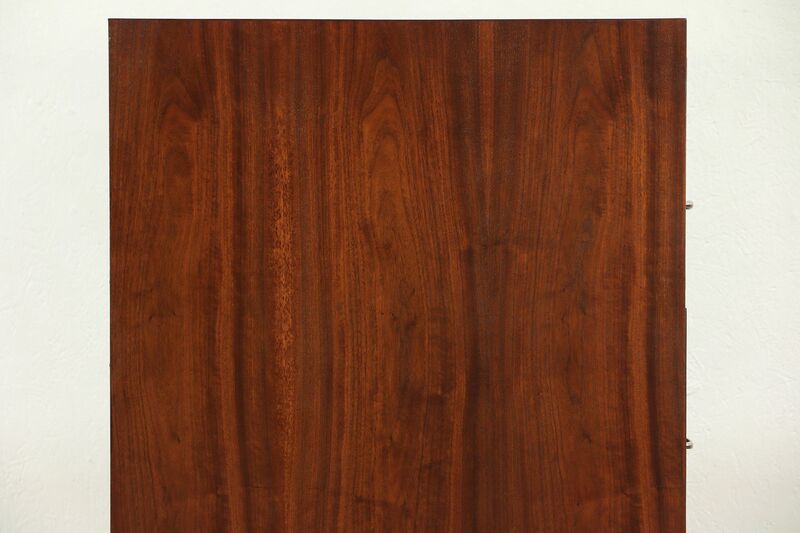 The restored finish is in excellent condition on this American made vintage office or library furniture. 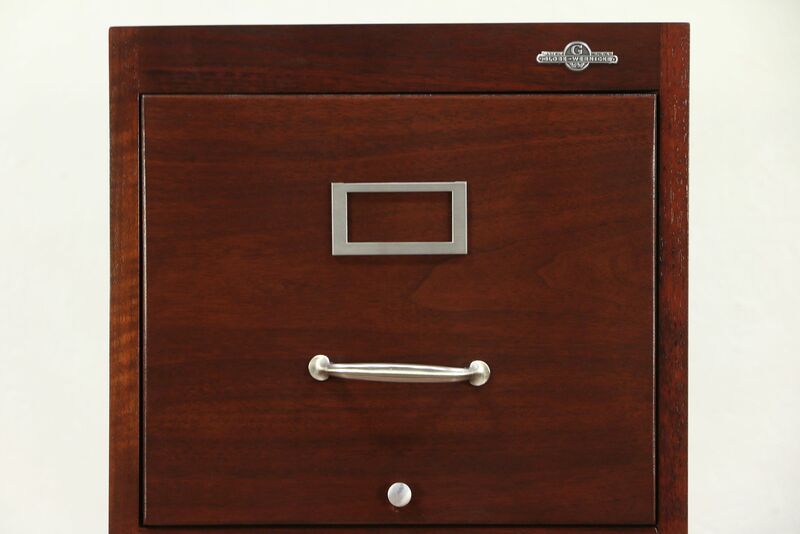 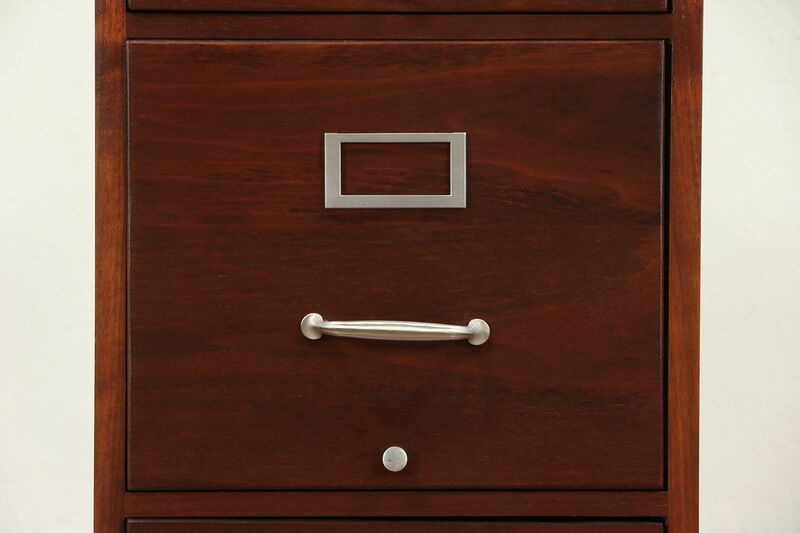 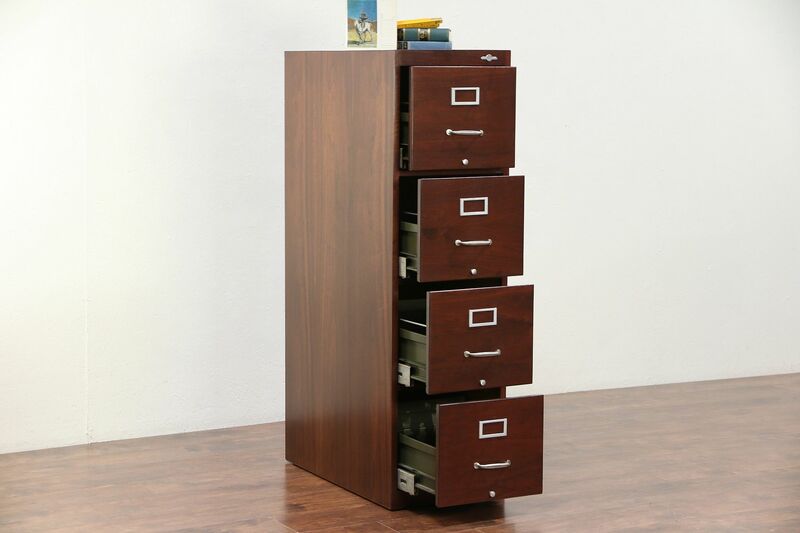 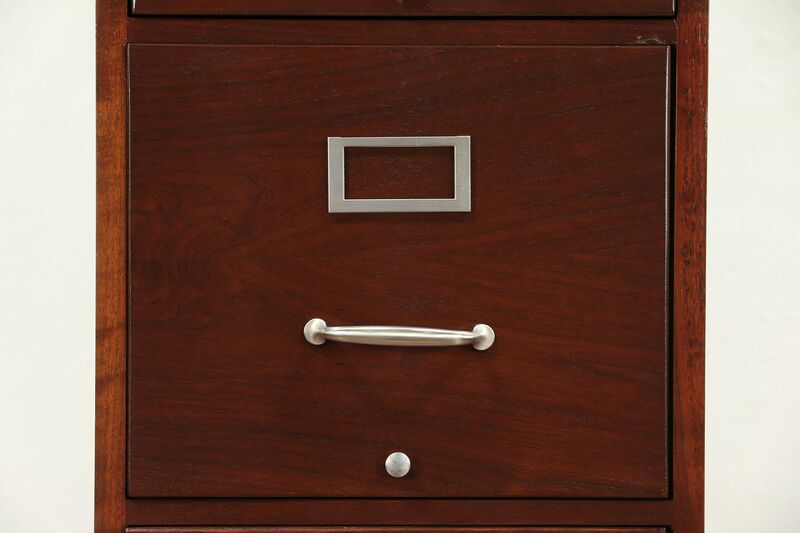 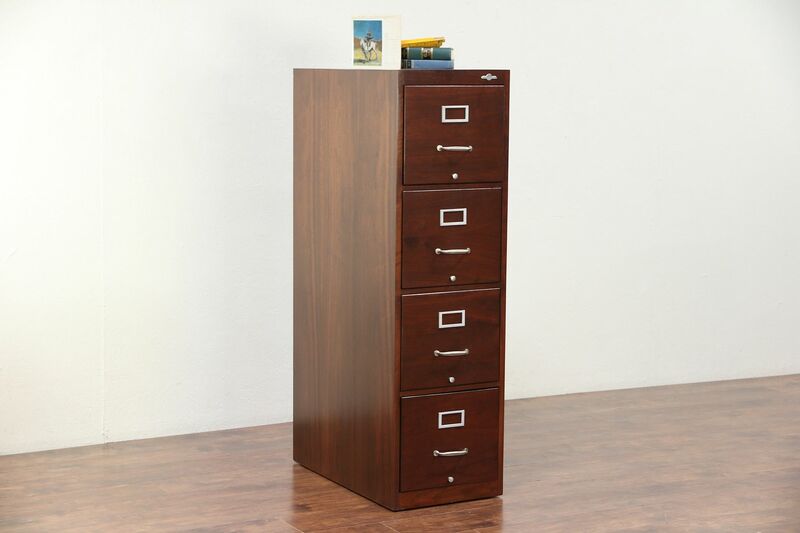 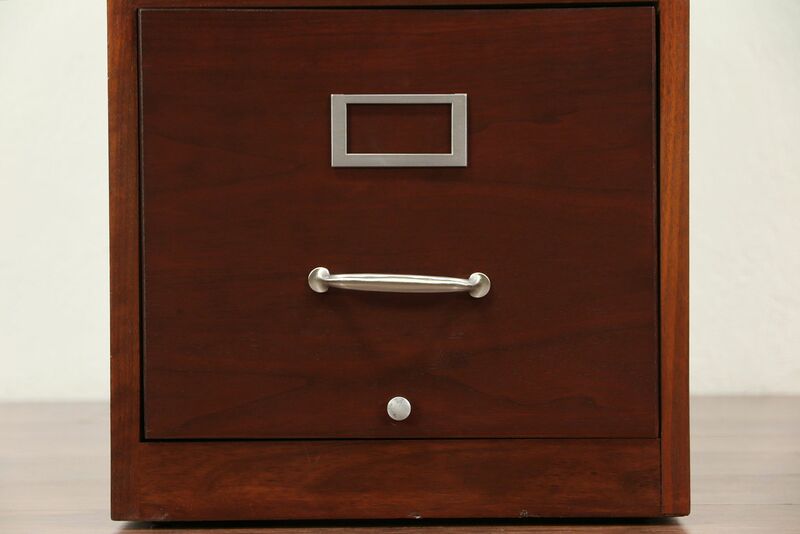 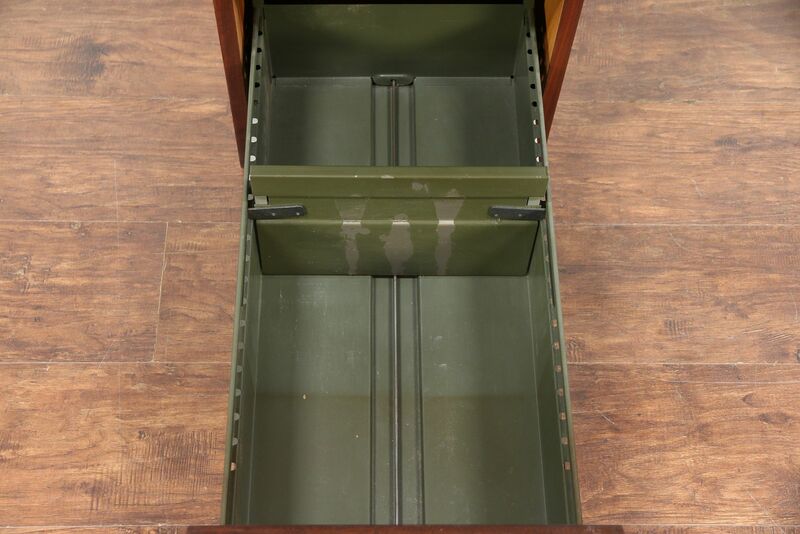 Standard size drawers glide smoothly and have original pushers, bottom rods and hanging file side rods, except the bottom drawer, which has no hanging file rods. 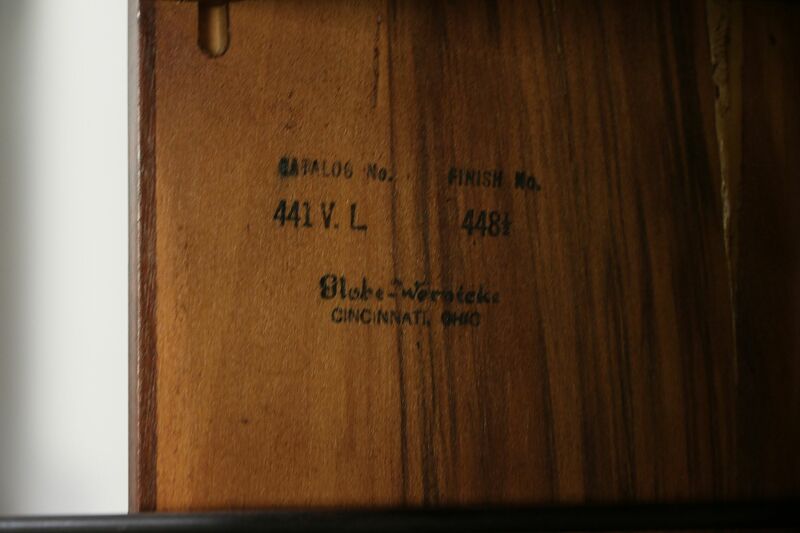 Measurements are 15 1/2" wide, 28" deep and 52 1/2" tall.